During back to school time, Arizona students will be excited to hear their teachers’ plans for them to learn about water in the upcoming year. Through Arizona Project WET‘s Systems Thinking Academy, teachers prepared to bring water into their classrooms, utilizing new Aqua STEM units, while integrating the STEM disciplines of science, technology, engineering and math throughout their curriculum. 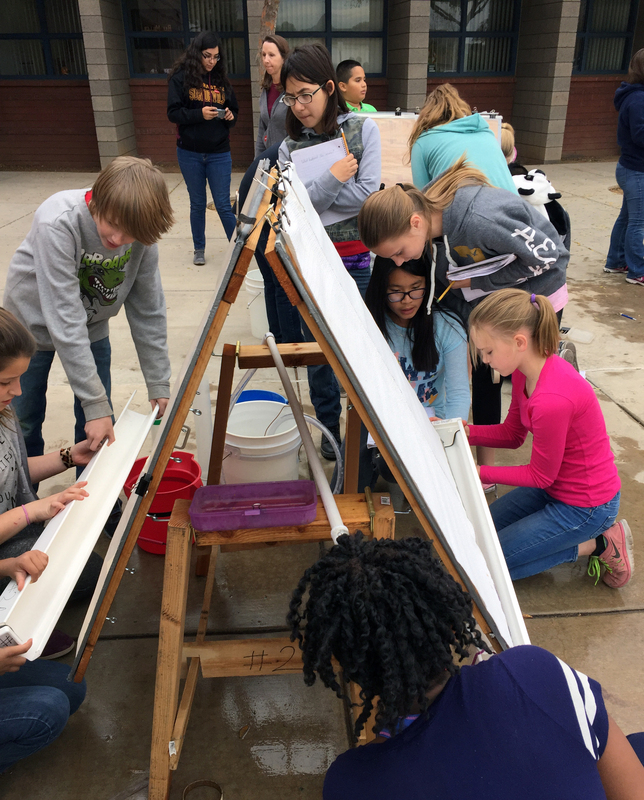 Arizona Project WET (APW) develops water stewardship and STEM literacy by providing teacher professional development that evolves instructional practice and deepens content knowledge, and direct student outreach that extends classroom learning. APW has created three STEM units that will guide students and teachers through water topics while looking from the perspective of a variety of disciplines. The units are infused with Systems Thinking which teaches students to make distinctions, see parts of- and whole systems, identify relationships, and take different perspectives as they think about complex water topics. Most importantly, through Systems Thinking, students learn to think about their thinking, which will help them to have new and exciting ideas that can change the world. Students will be designing rainwater harvesting systems, installing high efficiency aerators on their school’s faucets, and exploring Arizona’s amazing riparian areas. APW will work directly with the students at key points throughout the implementation of each of these units. In the Rainwater Harvesting unit, students explore how harvesting rainwater impacts our drinking water supply and the variety of parts needed for a system to collect rainwater. They design their own rainwater harvesting system, which requires them to use math to calculate the amount of water needed for their chosen landscape and the amount they can gather from their collection area, and to understand the water cycle in a new way. In the Riparian Habitat Exploration unit, students learn how Arizona’s riparian areas house essential habitats that contribute to biodiversity in our state, and take on the role of scientists in the field as they assess the health of a riparian ecosystem. Some students will also be doing the School Water Audit unit, where they replace low efficiency aerators with high efficiency aerators on faucets around campus and calculate the water savings that will result from their efforts. If you visit a school in the Phoenix Valley this year, you might see some amazing students preparing for our water future, and it’s bright! APW is a part of the University of Arizona Water Resources Research Center, a department of the College of Agriculture & Life Sciences and Arizona Cooperative Extension.